LA2M (Lunch Ann Arbor Marketing) Marketing Education. 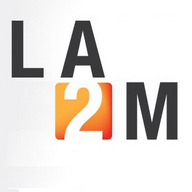 LA2M is open to client and agency side marketing professionals, and anyone else who wants to learn about marketing. It’s a chance to exchange ideas and get to know other professionals during lunch in a relaxed and friendly environment.